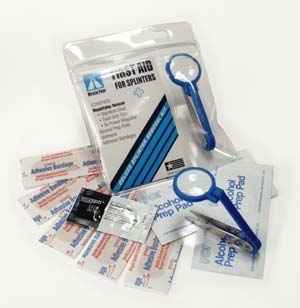 Here's everything you need to safely remove splinters and guard against infection ... all packaged in a handy, re-sealable pouch. The kit includes bandages, alcohol pads, antiseptic ointment, and, best of all, our precision, hand-sharpened magnified tweezers. Keep one at home, in your car, a toolbox and one with your camping supplies.